On its 14th edition, CNR Eurasia Boat Show, world's second most extensive exhibition of the maritime sector, is getting ready to take sea lovers on a blue voyage between 23 February and 3 March 2019 at CNR Expo, Istanbul. CNR Eurasia Boat Show, the second biggest maritime exhibition in the world, will be opening its doors on 23 February until 3 March 2019. Most distinguished brands in the industry like Karina Yachting will be participating in the show at CNR Expo, Yeşilköy. Karina Yachting established as Turkey's first official yacht sales company is the agency for many renowned brands from around the world. With its international corporate network, experienced staff, and broad portfolio, the company buys and sells second-hand boats and provides insurance, transportation, consulting and technical services. Azimut 55 FLY, the most elegant boat in its class! Offering maximum comfort on a 55-foot boat, the Azimut 55 FLY has an ideal sunbathing area designed stylishly and ergonomically on the bow. Azimut 55 FLY is the first boat in its size to be equipped with an electrically operated awning option. The dining table for 6-8-person on the cockpit is designed for each guest to enjoy the sea view. The boat is designed to give a sense of unity as well as facilitate service with the fully openable glass door and the option of automatic kitchen glass which can be lowered halfway. Missing the outstanding profile lines of the Magellano 66 is hard; Wide side decks, which allow you to walk around the boat comfortably, and the spacious cockpit draw attention. The Magellano 66 offers the typical advantages of both a semi-displacement hull and sliding body with its twin keel design. Dive into the inspirational world of Sea Talks! CNR Eurasia Boat Show, the second largest exhibition of the world maritime industry, will be held at CNR Expo İstanbul on 85 thousand square meters closed area. In the show where 1,500 leading brands will participate with 3,500 marine vehicles, including yachts, super yachts, and mega yachts exciting events will provide a very colorful atmosphere. Tunç & Julie Aytunç who will be among the most intriguing speakers of the CNR Eurasia Boat Show got married in 1997 in the United States. Their passion for the sea started in the 2000s when they were organizing gulet tours to the Greek Islands for the French tourists. They spend half of the year at sea. The couple who has many published maritime articles in newspapers, magazines, and websites are also PADI diving instructorş. They have traveled nearly to seventy countries with their sailing yacht they named TAJ in 2011. Murat Tuğsuz, who makes all the music of Coşkun Aral's unforgettable documentary Haberci and İZ TV running on Digitürk, is a professional musician who also makes the music of many productions created by TRT and Ministry of Culture and Tourism. The musician who is an expert digital music producer plays 16 different instruments impeccably. Seventy-five albums carry his signature, and about 1,500 music composed by him have been used on various television productions both in Turkey and around the globe. D-Marin will be at CNR Eurasia Boat Show to be organized for the 14th time in Istanbul from 23 February to 3 March 2019. D-Marin will welcome visitors in the most prominent gathering of the Turkish maritime industry, CNR Eurasia Boat Show, on Hall:2 B12. The world's second largest and Turkey's largest boat and yacht exhibition on land will exhibit world-famous mega yachts, sailing boats, and motor yachts to domestic and international visitors for a week. Visitors will also obtain information on their maritime operations and services such as D-Marin Portonovi in Montenegro expected to open in 2019, and the Marina Management Service. Teos Marina has completed its preparations for CNR Eurasia Boat Show, which unites leading world brands under the same roof and adds an international edge to the Turkish maritime industry. Teos Marina will be introducing the İzmir region, the unmatched beauties of Sığacık and the services of Teos Marina to yachters at its booth at CNR Eurasia Boat Show, Hall 2. Many surprises await the yachters and the frequenters of the Teos Marina family. 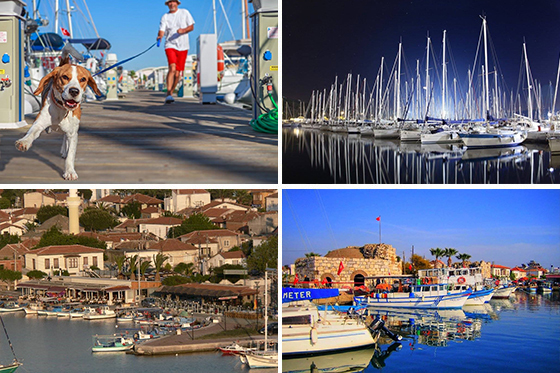 The port Teos Marina, which is known for its high-quality services and colorful events in the last period, promises to offer its visitors a unique marina experience in 2019. Teos Marina General Manager Faruk ünlü invites you to explore the marina that has many advantages including its proximity to the city center, the airport, the Greek islands, and clean and calm bays; its atmosphere intertwined with history, art and natural beauties; and the seminars and concerts held throughout the year. As has been in previous years many surprises await booth visitors. The exhibition, which is one of the most important gatherings of the maritime industry bringing together leading organizations, like Teos Marina, will unite thousands of sea-lovers at CNR Expo Yeşilköy for the 14th time from February 23 to March 3, 2019. CNR Eurasia Boat Show will host more than 1,500 brands of the world's maritime industry as it does every year. Yachts, superyachts, mega yachts, motor yachts, racing boats, catamarans, sailing boats, cruise boats, speedboats, jet skis, flyboards, canoes, inflatable boats, equipment, accessories, products, and equipment for water sports and fishing will be displayed to the liking of visitors on an area of 85 thousand square meters. Since its establishment in 2005, bringing together the world's leading boat brands with sea lovers, Trio Deniz will have the premiere showing of Prestige and Sanlorenzo brands' new models for Turkey at CNR Eurasia Boat Show. Trio Deniz will be exhibiting 22 most prestigious boats from 5 different brands at CNR Expo Yeşilköy from 23 February to 3 March 2019. French giant Prestige comes with its newest design, 590, where comfort meets elegance. Adding maximum comfort and spacious interior to its new model, the Prestige 590 was created to be timeless and set to become your second home. The SL86 model of the Italian Sanlorenzo brand, the world's one of the two largest mega-yacht manufacturers, will carry the distinction to be the most valuable boat displayed in Turkey on a boat show on land. 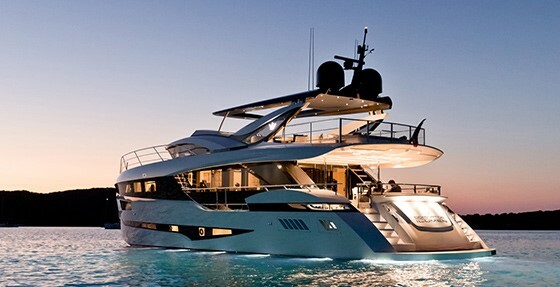 The model has one of the largest flybridge areas in its segment. The use of larger glass in the upper building and the mobile swimming platform are some of the highlights. Sanlorenzo stands out with its personalized interior design created with the highest quality materials without compromising the elegance. CRANCHI, designed for long-distance cruises, will be featured with its newest models at CNR Eurasia Boat Show where exquisitely designed domestic and foreign brands will be exhibited. Standing out with low fuel consumption without sacrificing high maneuverability CRANCHI redefines the standards in its segment. The solar panels on the boat significantly contribute to energy saving whilst spacious and bright interiors and front deck living areas offer comfort. CNR Eurasia Boat Show offers marine vehicles and materials to amateur seafarers for every budget and CRANCHI is one of the ambitious companies aspiring to be the market leader. CRANCHI will showcase Eco Trawler 53 LD, M44 HT, T36 Crossover, E 26 Classic, Anvera 55s models to the liking of sea lovers in the show to be held at CNR Expo Yeşilköy from February, 23 to March 3, 2019. CNR Eurasia Boat Show, the first name that comes to mind when one mentions marine vehicles fair in Turkey, will once again present a chock-full of exciting activities to visitors. SEA TALKS will be one of the highlights of the show where business people, famous media faces and sea-lovers including Hülya Leigh and Mert Gökalp would be among the speakers. Between 1998 and 2004, Hülya Leigh sailed the Mediterranean, the Caribbean, and the rivers and canals on the eastern shores of the USA and crossed the Atlantic Ocean twice. 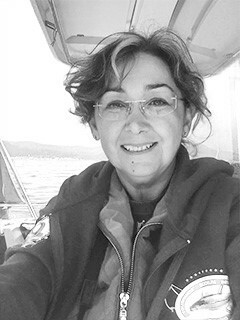 Hülya Leigh's unique experience of her 25 days she had lived on the ocean without setting foot on land was published in 2005 by Naviga Publishing as a book titled, A Turkish Girl Sailing on the Ocean. 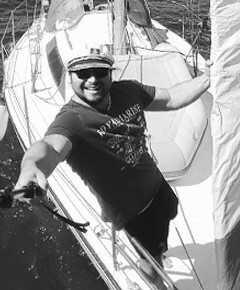 Apart from interviews, Leigh has written numerous articles published in Naviga Magazine and has translated four nautical books from English to Turkish. Mert Gökalp, who currently works as an author & photographer for the Magma Magazine, has the richest underwater photography and video stock archive of the Eastern Mediterranean region in Turkey. 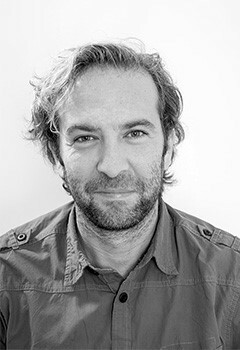 Since 2006, Gökalp has been working as a freelance photographer and video maker developing projects with various agencies around the world and with NGOs such as WWF, Slowfood, Greenpeace and UNDP. 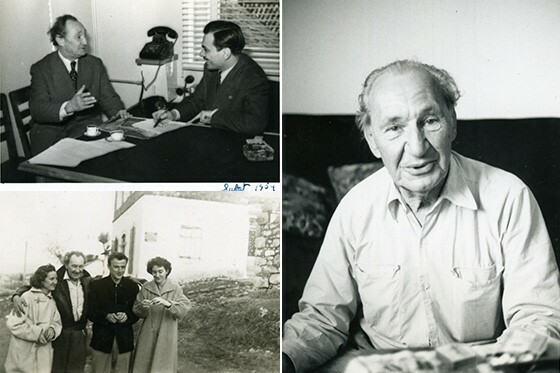 Gökalp who has four solo photo exhibitions has also worked in the documentaries screened on the Dutch VPRO TV and NT channels and İz TV and Yaban TV in Turkey. Make your best investment decision of 2019! 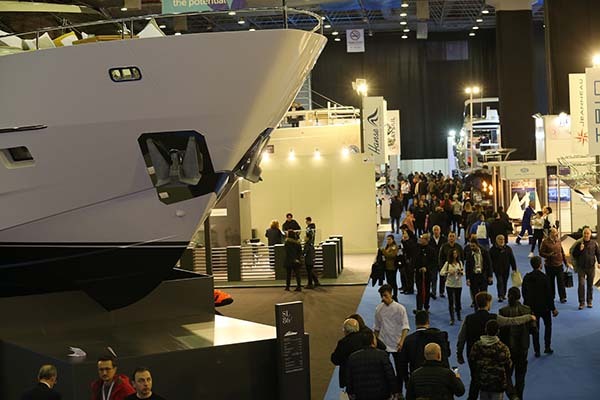 CNR Eurasia Boat Show, the trade fair unrivaled in Turkey and one of the two biggest in the world organized on land, will launch for the 14th time on 23 February 2019. The show will take place at CNR Expo Istanbul and will bring together thousands of domestic and foreign amateur and professional sea lovers until 3 March. CNR Eurasia Boat Show 2019 organized to provide a unique experience for exhibitors and visitors will showcase model boats equipped with state-of-the-art technology and the latest innovations in the maritime world to the liking of yachting enthusiasts. The Turkish maritime industry is the world's fastest-growing market in boat and yacht production and has recently been ranked in the top third mega yacht producer in the world. CNR Eurasia Boat Show 2019, the most prestigious and colorful organization of the industry, will contribute to its development as it does every year. Why You Should Exhibit in CNR EURASIA BOAT SHOW? 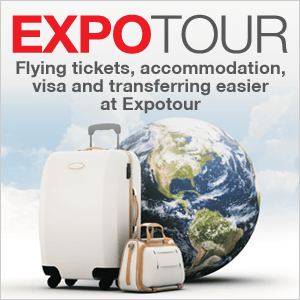 Be sure to book your place and enjoy the benefits CNR Eurasia Boat Show offers! For 14 years, a highly profitable platform CNR Eurasia Boat Show has inspired the fast-growing Turkish yacht market and the global marine industry with innovation and opportunity on luxury lifestyle. Renowned as one of the top quality boats in the world since its inception in 1962, the luxury Formula boats manufactured by Uting Ltd., one of the most prominent organizations in the Turkish maritime industry, will be coming to CNR Eurasia Boat Show, the world's second largest boat and yacht exhibition on land. The newest models of Formula Boats will be exhibited at CNR Eurasia Boat Show, Hall 2, booth B-8. One of the Formula models available in the exhibition, the 350 Sun Sport, offers comfortable space for crowded groups with its large cockpit area. The 350 SS has more than enough equipment for a pleasant day and night. Sporty and stylish powerboat Formula 350 Sun Sport, takes its power from Mercruiser engines with 2x430 horsepower. The 350 SS, with over 100Km per hour speed, is impressive not only with its performance and smooth flow but also with its elegance and comfort. 10.67m length, 3.28m width, and 21° water cut angle deep-V body provides comfortable and safe navigation even in harsh weather conditions. Dominator, one of the world's most prestigious luxury yacht maker, will showcase its best models in Turkey only at CNR Eurasia Boat Show to take place at CNR Expo from February 23 to March 3. The bespoke yacht maker does not ignore the wishes of its customers and allows them to shape their vision by involving them in the design process. Chief Interior Designer Luca Catino, who is one of the best interior designers in the boat and yacht area, and decorator Giulia Sigismondionce once again demonstrated their professionalism and expertise on this model. The yacht is a thing of beauty, with brushed oak wood paneling complemented by glossy ebony accents. Silk georgette marble and vaterite glass by Sicis set the tone in the bathrooms, as do hand-laid Piallato parquet floors and Hermès fabrics for the indoor and outdoor furnishings. The platinum tones of the hull are offset wonderfully by turquoise and orange detailing inside, with the former made especially for the yacht and dubbed 'Dominator Gold' by the manufacturer. A lot of consideration went into the selection of fine woods used to dress this yacht, with tonalities of grey and blue oak, and blue palisander created especially for the client. This attention to detail even extends to the stitching of the sofa and the custom color and design of the parquet, while it pays off in the harmony of sophistication, comfort, and style. In the refined interior, each of the luxurious cabins is adorned with different color schemes of the gorgeous suede by Foglizzo. The bathrooms feature handmade file rouge mosaic by Sicis, while the pearl grey parquet accentuated by darker 'comento' edging provides a soft palette for the blue agate recessed on the walls of the master cabin and lower deck lobby. The most prestigious exhibition of the Turkish Trade Fair industry CNR Eurasia Boat Show is getting ready to host colorful events. There will be seminars, sea talks, movie, short movie and documentary screenings, and an exhibition displaying the never-before-seen photos of “The Fisherman of Halicarnassus” at the fair. CNR Eurasia Boat Show which is the second biggest exhibition of the world maritime industry will launch at CNR EXPO İstanbul on February 23rd. More than 1500 leading brands of the maritime industry such as Jeanneau, Princess, Sanlorenzo, Prestige, Cranchi, Azimut, Numarine, Hanse, Chris Craft, Honda, Yamaha, Suzuki will showcase their newest mega yachts, boats, and sailboats in addition to a vast variety of accessories and equipment. Boats, yachts, and sailboats from 3 thousand to 33.5 million TL to suit every budget will be available for sea enthusiasts. The 27 meters long SL86 model of the Italian Sanlorenzo brand to be exhibited for the first time in Turkey will come to the forefront as the biggest of the show which hosts the world's most prestigious mega-yachts. Sanlorenzo's new model SL 86 finds buyers from the European and American continent to the Commonwealth of Independent States, from Eastern Europe to Asia and will be the most expensive boat with the sales tag of 33.5 million TL. The 14th CNR Eurasia Boat Show 2019, the most comprehensive and massive meeting of the maritime industry, grandly opened its doors on February 23. In addition to offering alternative routes to sea enthusiasts, the show also hosts tourism ports and marinas that provide high-quality services to meet all the needs of boat owners. Many leading brands of the maritime industry such as Jeanneau, Princess, Sanlorenzo, Prestige, Cranchi, Azimut, Numarine, Hanse, Chris Craft, Honda, Yamaha, Suzuki will showcase their newest models at CNR Expo İstanbul. CNR Avrasya Boat Show will also feature more than 3500 marine vehicles for amateur seafarers. CNR Eurasia Boat Show unites sea lovers with all types of maritime materials from the smallest boats to mega yachts and products for amateurs. The show offers a wide range of colorful activities that appeal to all age groups enabling all visitors to have a pleasant and memorable time. CNR Eurasia Boat Show hosts business people and famous screen faces who enchant sea lovers at the SEA TALKS. 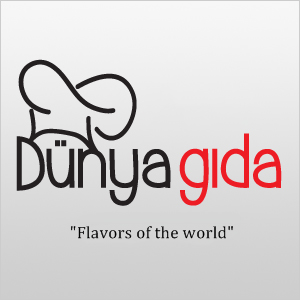 The show takes place at CNR Expo İstanbul from February 23 to March 3. CNR Eurasia Boat Show, International Boat, Marine Equipment and Accessories exhibition was held for the 14th time on February 23 – March 3, 2019, at CNR Expo Yeşilköy. The exhibition received great attention. The show is better this year than in previous years. The efforts of CNR and the Association have contributed to the continued growth of the show despite the division in the industry. I believe it will be even more successful next year. This show means business, prosperity, and intenseness for us. The show has been very nice for us as we had the pleasure of launching our new product Numarine 55 Fly for the first time at CNR Eurasia Boat Show. We had very active days with many customer visits. In a single word, this show means prestige for us. This year there is an increase in the number of exhibitors and visitors, I see a better show than last year and with a better visitor portfolio. Our company, Depar, exhibited domestic production boats, new products as well as jet skis. CNR Eurasia Boat Show is an excellent trade fair for us. We welcome invaluable customers in our stand. Thanks to CNR Holding, we appeal more to our target customers every year. CNR is everything to us and we will continue to participate in the coming years. CNR Eurasia Boat Show is the best trade fair in Europe regarding commercial opportunities. It is going very well, and there are a lot of international buyers especially those from Bulgaria, Greece, and Cyprus, visiting the show. I thank CNR for their support. Sea lovers showed great interest to CNR Eurasia Boat Show, the second largest Boat exhibition worldwide. The fair, which welcomed visitors until March 3, received 30% more visitors compared to last year. 39 thousand visitors, of which 3 thousand 160 are foreign, received in the first two days of the exhibition. CNR Holding Chairwoman Ceyda Erem said, "This year, even in winter we welcomed visitors from 35 countries such as France, England, Greece, Spain, Italy, Russia, and The Commonwealth of Independent States, Germany, Tunisia, Bulgaria, Saudi Arabia, Qatar, United Arab Emirates, and Poland. We reached half of our target number, which is 85 thousand visitors, in two days." Visitors at the CNR Eurasia Boat Show, highly acclaimed by boat enthusiasts, showed great interest in high-quality and affordable domestic production boats. The boats and yachts produced domestically and with favorable pricing were the buzz of the CNR Eurasia Boat Show, the world's second largest exhibition in its field. 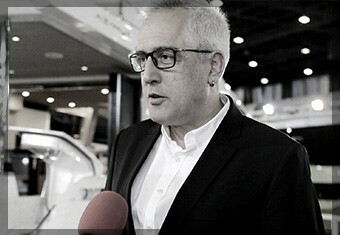 Noting that locally produced boats with lengths from 4.5 meters to 45 meters were exhibited in the show, Alparslan Sirkecioğlu, Chairman of the Board of Directors of the Turkish Marine Industry Association (DENTUR), said, “We have a domestic manufacturing industry that produces high-quality boats and yachts in different price ranges to suit everyone from amateurs to professionals. Moreover, our industry makes a difference with our young designers. A remarkable example would be Numarine; they design boats up to 45 meters in length globally thanks to the distributorship system they had established from the USA to New Zealand. To top it all off, our manufacturers are very efficient in exporting their products." 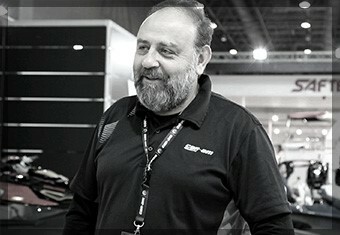 Stating that the CNR Eurasia Boat Show provided the opportunity for domestic producers to introduce themselves to the world and reveal the power of domestic production, Sipahioğlu continued his words saying, “High-quality production, as well as a very flexible production system, combined with cheap labor, makes domestic production seriously advantageous. Costs are kept low thanks to this flexibility. We believe that the tax system currently practiced will bring synergy to the industry paving the way for domestic production. We see great benefit in the continuation of the current system for the advancement of Turkish amateur seafaring and the spread of sea culture." Alparslan Sirkecioğlu added that 15 large domestic boat and yacht manufacturers including Numarine, Mengi Yay, San Boat, Enma, Yerli Yurt, Safter, Kaya Denizcilik, Anatolia Denizcilik, Ege Yat have participated in the show and said, "CNR Eurasia Boat Show clears the way for domestic manufacturers by helping the growth of the industry's market share. By participating in the show alongside international companies, our domestic manufacturers find the opportunity to follow technological developments of foreign manufacturers closely. One of the most important contributions of our trade fair to our country is that the love of the sea is passed onto the next generations." CNR Eurasia Boat Show, the world's second largest exhibition in its field taking place at CNR Expo, will be open until March 3, Sunday. CNR Holding company Pozitif Fairs organizes the CNR Eurasia Boat Show in collaboration with the Turkish Marine Industry Association (DENTUR). The 45 meters long Numarine 45XP model, worth 102 million TL, is among the domestically produced boats displayed alongside the most prestigious megayachts of the world maritime industry at the Show. Reminding that domestic producers had more favorable pricing than foreign counterparts, Numarine Brand Manager Ali Tanır said: "We are a labor-intensive industry. When viewed from this point of view, we are producing with trained craftsmanship at an affordable price compared to the European manufacturers. One other reason we are favored is that we make customized production. Our production quality attracts the attention of foreigners as well as Turkish buyers. Our boat with a length of 45 meters offers a tremendous price advantage. The foreign models having the same quality and specs as our boats that we sell starting from 102 million TL in the show are sold for 150 million TL. We export 80 % of our production, 20 % of which is realized at CNR Eurasia Boat Show." "Domestic production boats with 40% price advantage"
Bursa-based boat manufacturer Okan Oğuztürk indicated that the domestically produced boats were at least 40 percent more affordable and added, "Our local boats have a significant price advantage. There is a great interest in our motor yachts with a length of around 7 meters that we exhibit at CNR Eurasia Boat Show. The price of our yachts designed for families is 170 thousand TL. A foreign motor yacht with the same specs is not less than 250 thousand TL. We have as much, if not more, than our international counterparts. The interest in the show is very pleasing. 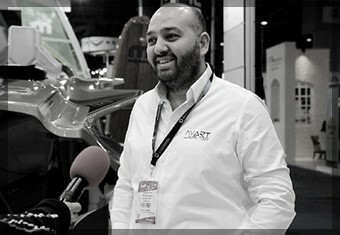 CNR Eurasia Boat Show is of great importance to us; it is a must. 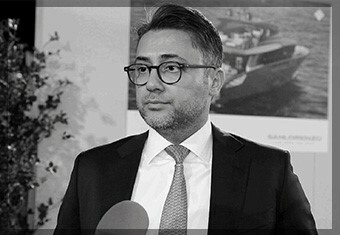 Hasan Hüseyin Kalaycı, the owner of Anıl Marin, stated that they had exceeded the European standards and that they were delighted to see the interest of so many domestic and international buyers in Anıl Marin. Kalayci, reminiscent of intense interest from Norway and Cyprus this year, added, "Domestic interest is tremendous. By the first day of the show, we had already sold two boats to Rize. The interest from the Bodrum area was also huge. Our 8.09 WA model displayed in the show is ideal for families and was rightfully acclaimed by them. The price of the foreign counterpart of our boat, which we sell for 330 thousand TL, is 600 thousand TL." "It’s fascinating with the diversity and presentations of the participants." World's second-biggest exhibition in its field CNR Eurasia Boat Show will open its doors for the 14th time at CNR Expo Yeşilköy between the dates of February 23 - March 03, 2019. 20% trade increase in the maritime industry is expected! CNR Eurasia Boat Show - the 14th International Sea Vehicles, Equipment and Accessories Exhibition - is the second largest boat and yacht show on land for the world maritime industry. The show will bring together thousands of sea lovers between February 23 and March 3, 2019, at CNR Expo. CNR Eurasia Boat Show, which will have a substantial number of visitors from all over the world on 85 thousand sqm area, will bring more than 400 world-famous stylishly decorated, high-performance megayachts, motor yachts and sailboat brands together. The show will host the leading organizations and institutions of the industry including imported and domestic production megayacht, sailboat, motor yacht brands, boat manufacturing equipment, all kinds of boat accessories, inflatable boats, inboard and outboard motor brands, sailing clubs, water sports materials and equipment, educational institutions, charter and broker companies, marinas, garment brands and manufacturers. CNR Eurasia Boat Show 2018 had a record-breaking number of visitors and sales volume. The 9-day long show has brought domestic and foreign professional buyers and provided the exhibiting companies a highly profitable platform. The exhibitors have received orders worth USD 230 million leading to a trade volume of USD 600 million. This year, 61% of the visitors are expected to buy a boat based on the survey results of the previous year. Book your place in the most prestigious and colorful organization in Turkey to establish new business connections and expand your business volume using the international network of CNR Holding. Boat owners will find everything they need at CNR Eurasia Boat Show! CNR Eurasia Boat Show 2019, the most comprehensive and the biggest meeting of the maritime industry, aims to bring together all the tourism ports and marinas that provide high-quality service to meet every need of boat owners besides offering alternative route suggestions to sea lovers. Agencies that will guide sea lovers in their next dream holidays and leading companies that want to share their expertize with visitors have already started to book their places. The interest in yachts is even greater! İstanbul CNR Eurasia Boat Show, one of the world’s biggest boat shows, had 67 thousand 140 visitors from over 50 countries. At the exhibition, 3 thousand 500 boats were displayed and a large number of mega yachts were sold, the prices going up to 5.2 million euros. 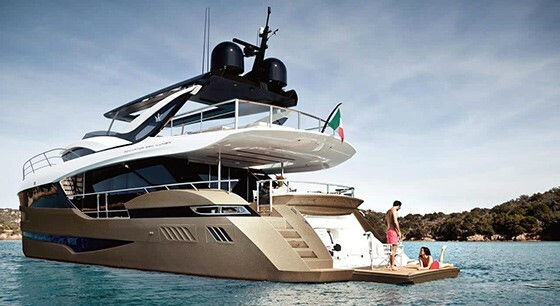 1500 companies participated in the exhibition and a great number of orders were made for customized yachts. During Düsseldorf Boat and Sailing Fair, the city usually packed with Turks - actually Turkish yacht producers!.. The Eurasia Boat Show is one of the most important meeting platform for marine industry. Every year it attracts and host visitors from all around the world; every level from professionals to enthusiasts. 2015 edition has confirmed 9th Boat Show as the “benchmark event”, an exhibition rich in meetings and appointments, events and important international previews, giving the chance to enthusiasts to enjoy the best exhibition complex in Turkey, CNR-EXPO. Turkey has an important role in mega yacht industry and made a serious progress in the last decade in yacht and boat building supply industry with its subcontractors, engineering and design offices, decorators, interior designers, importers and exporters. Turkey has the longest coastline between Mediterranean countries with 8,330 km. Discovering opportunities in Turkey with %100 increase in the number of marinas, Turkey has a massive growing potential. Turkey is an attractive market with 8,330 km coastline and its yacht tourism facilities along with the cultural and historical wealth. The support of IFBSO- Federation for Boat Show Organizers, ICOMIA, International Council of Marine Industry Associations, Republic of Turkey Ministry of Transportation, DTO - Maritime Affairs and Communication, Chamber of Shipping and KOSHEB- Small and medium Industry Development Organization assures the vitality of the event.